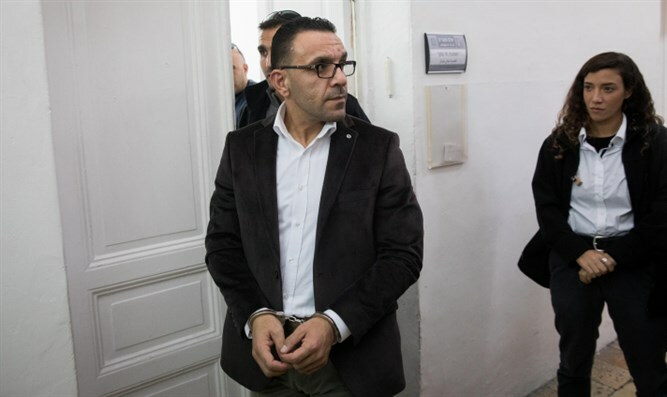 PA's Jerusalem district governor arrested by Israeli police after violating order imposed following kidnapping of US citizen. Israeli police arrested the Palestinian Authority's governor of the Jerusalem district on Sunday after he allegedly violated an order previously given to him by authorities, police and his lawyer said. His lawyer Mohammed Mahmud said he had been given a six-month order not to visit Judea and Samaria or contact certain people there, and police accused him of violating the order. Police had previously investigated Gheith over suspicions he was involved in the Palestinian Authority's kidnapping in October of American-Arab Issam Akel, who was accused of involvement in selling an eastern Jerusalem building to Jewish buyers. Such sales are considered treasonous by the Palestinian Authority. Palestinian Authority officials have condemned his arrests and claimed it was intended to pressure the Palestinian leadership over Akel's case. Akel was sentenced to life by a Palestinian Authority court, but he was reportedly later allowed to leave to the United States.